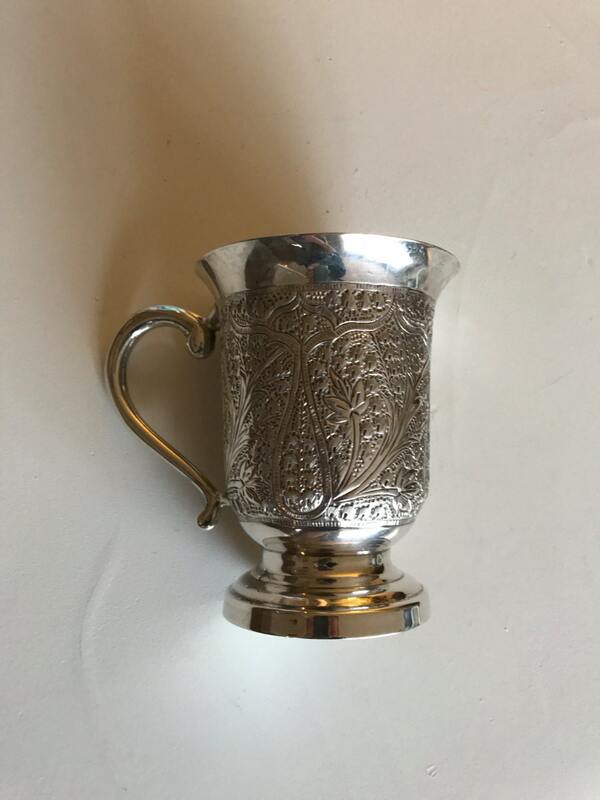 Beautiful vintage sterling silver pint mug made in India. This baluster form mug sits on a turned pedestal. 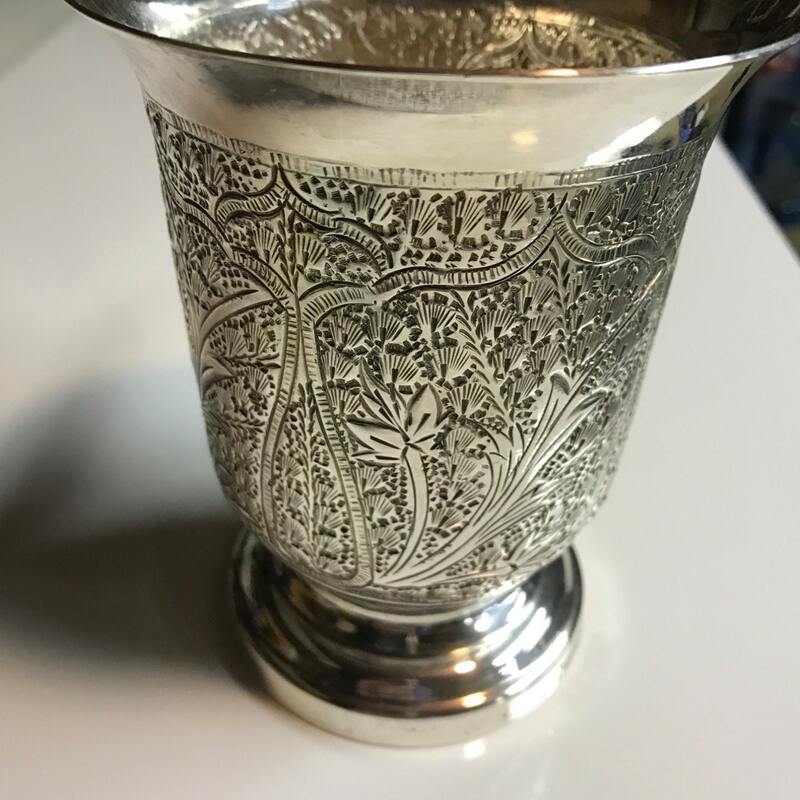 Deep repousse patterns with typical floral kashmiri designs. Lip and foot are smooth. 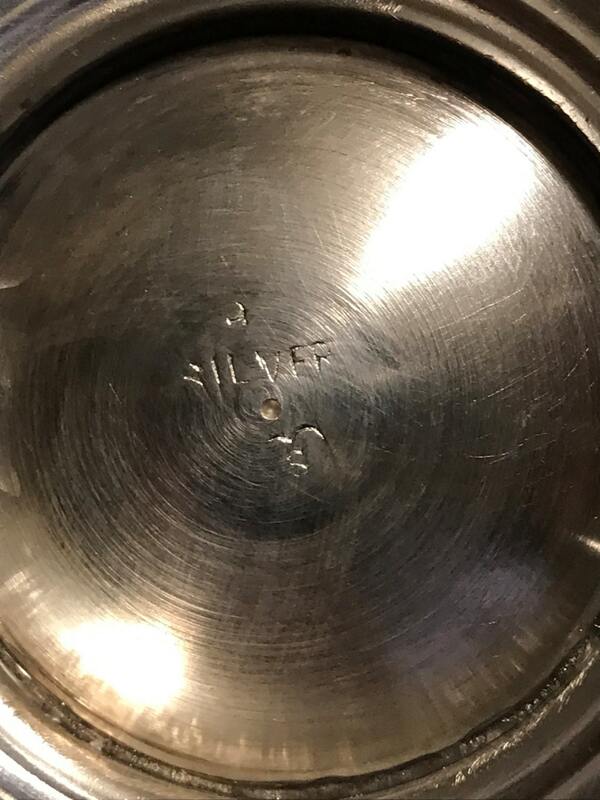 Handle is solid silver. 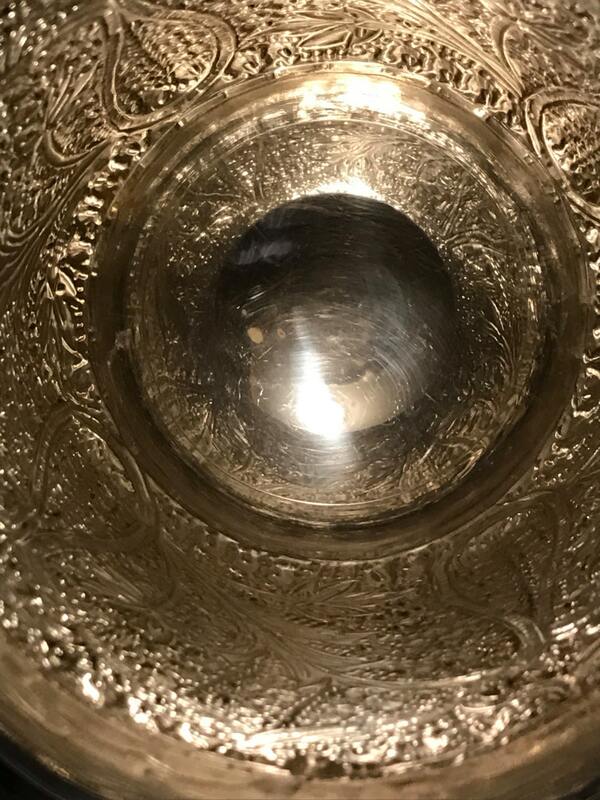 Cup is hallmarked 'SILVER' faintly on the bottom. 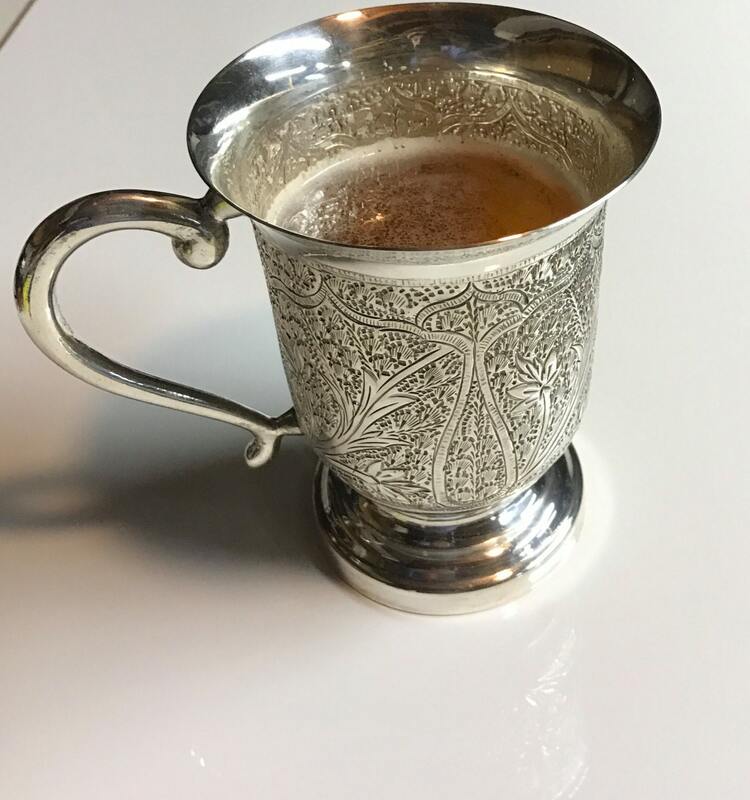 Perfect size to hold a pint very comfortably. Condition is excellent with minor patina and surface scratches as shown commensurate with a vintage item.